Sixers forward Dario Saric shoots the basketball against Boston Celtics on Friday. HOUSTON – 76ers guard J.J. Redick will miss his second consecutive game Monday night against the Houston Rockets at the Toyota Center. The team's top free-agent acquisition is dealing with lower-back tightness. Power forward Dario Saric will get his second straight start in his absence. 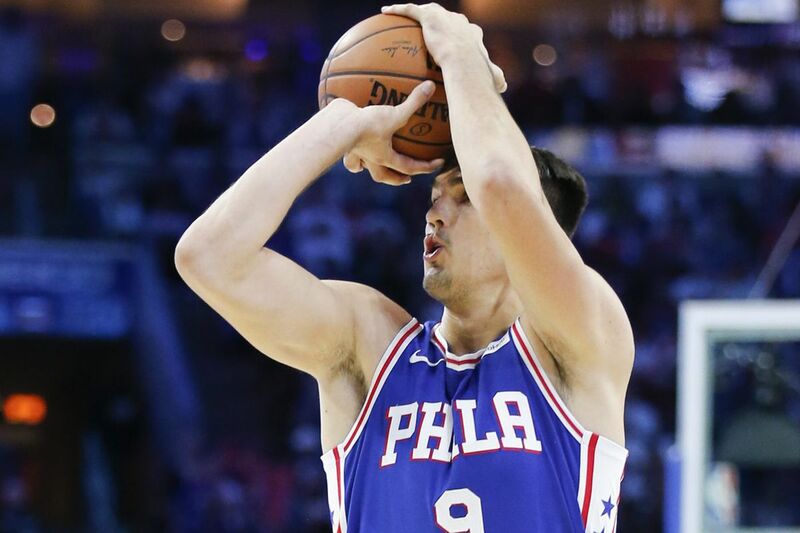 Saric will join small forward Robert Covington, center Joel Embiid, shooting guard Jerryd Bayless and point guard Ben Simmons in the starting five. Saric recorded season highs of 14 points and four three-pointers made in his first start Saturday night against the Dallas Mavericks at American Airlines Center. Embiid will play despite suffering a bruised right hand versus the Mavs.